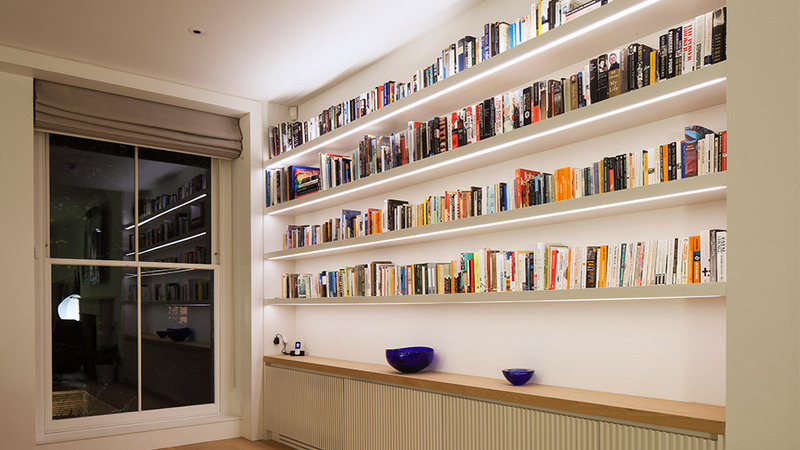 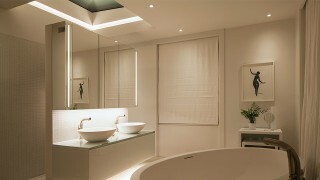 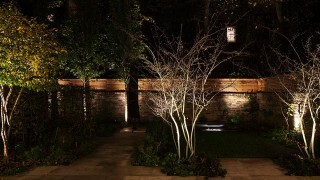 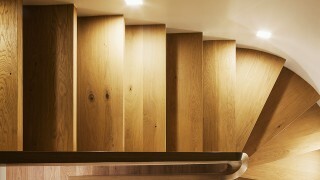 This London townhouse has been completely transformed into a spectacular new residence. 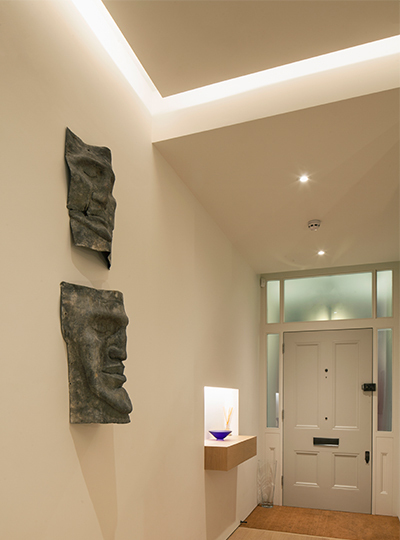 With five floors and a basement to consider – bursting with architectural details – our role was no mean feat. 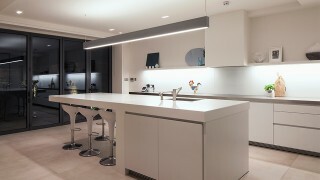 But, early collaboration and tons of passion has paid off. 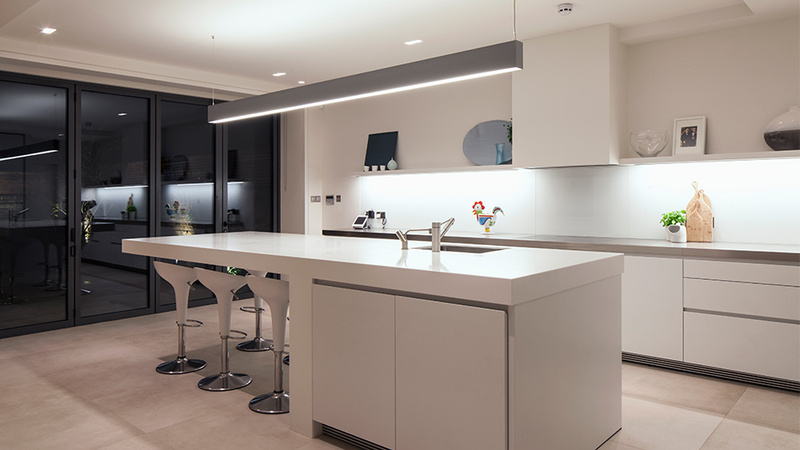 The lighting scheme works in harmony with the stylish and contemporary architecture, and crisp, clean lines of the interior, yet it creates a “homely” feel for the owners. 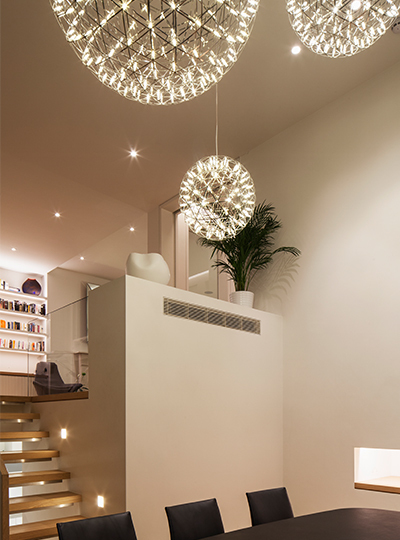 Illumination effects were concealed where possible and statement pieces used for ambience – for example, three Raimond lamps by Moooi hang elegantly above the dining room table, giving a “soft glow of a starry night”. 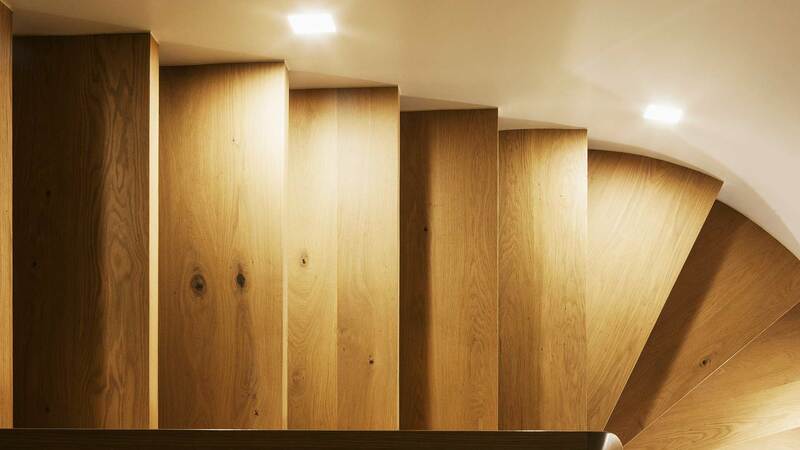 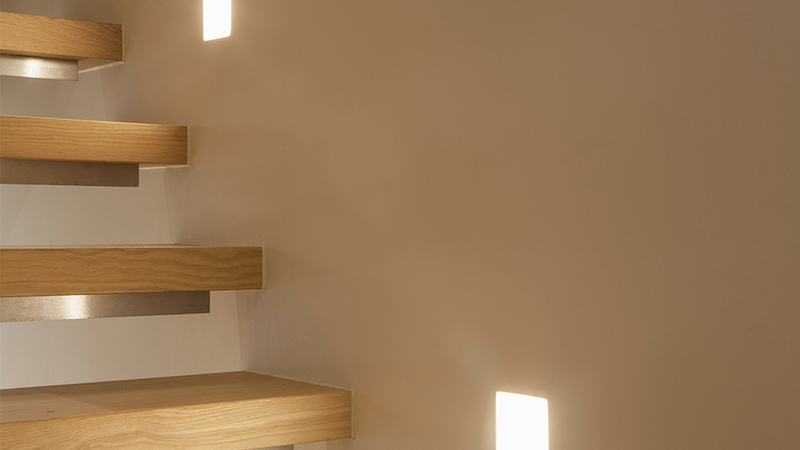 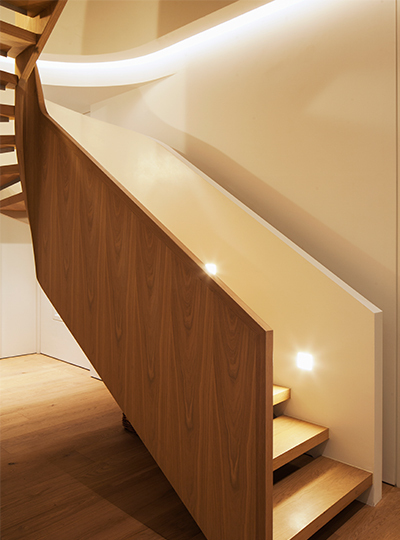 A standout design feature is the “curved” staircase – to emphasise its movement and fluidity, opal low-level LED luminaires were installed along the sides and diffused LED lighting was integrated into the joinery. 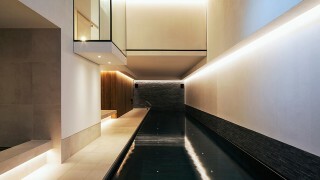 The subterranean swimming pool, gym and cinema ooze tranquillity – the minimalist architectural lighting continues throughout the nature-inspired space, defining quality materials. 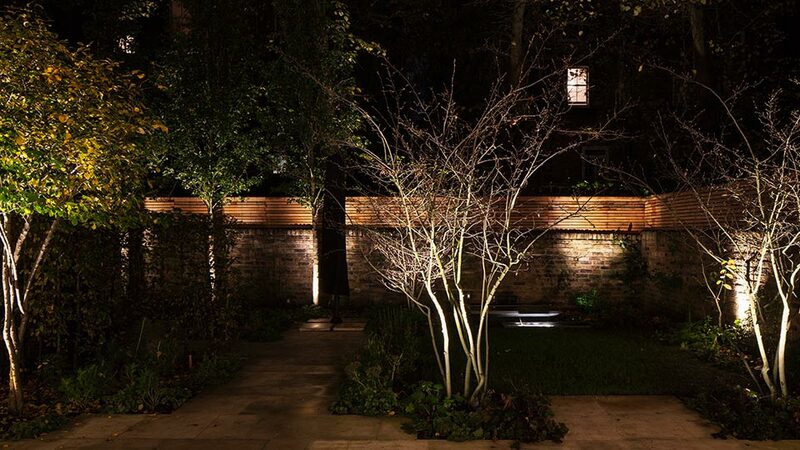 A datum line of illumination around the pool washes down into the water and extends across the double-height space at the rear, creating the perfect sense of serenity. Designing a lighting scheme around the unique architecture within the traditional townhouse: from the basement pool, all the way up to the attic.